Stewardship is the voluntary conservation and care of habitat and wildlife by landowners and community groups. Conservation organizations in the South Okanagan work with communities, schools, landowners and land managers to understand and care for nature on their lands, by providing information, technical support, and often “hands-on” help in conserving, restoring and enhancing natural areas. There are over private 50 landowners in the Okanagan and Similkameen areas that work in partnership with a local stewardship society to care for approximately 3000 acres of wildlife habitat. These landowners are able to maintain agricultural, tourism and other practices while implementing best management practices for wildlife. 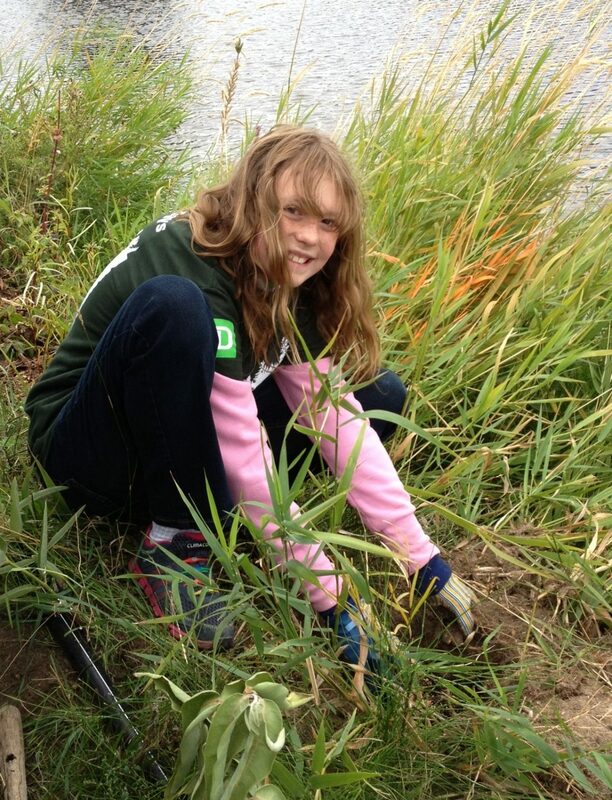 At Ellis Creek Basin in Penticton, stewardship and conservation organizations partnered with the TD Tree Days and the City of Penticton to restore the sensitive riparian area near the creek. Over 1000 plants have been planted here during two annual work bees that draw on the efforts of volunteers to bring back habitat for fish and wildlife that has been damaged.